Exciting times ahead! 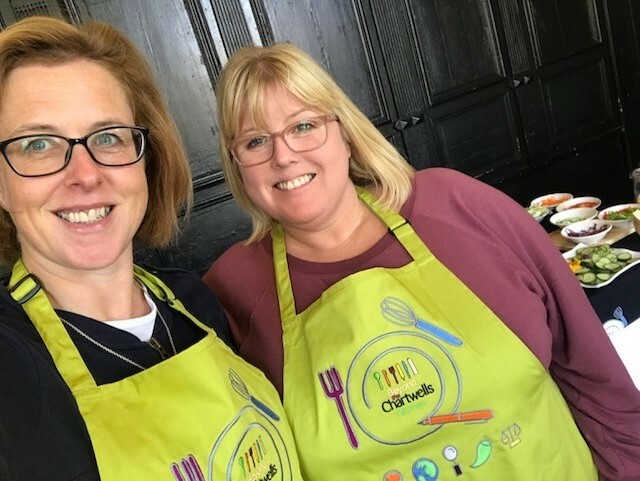 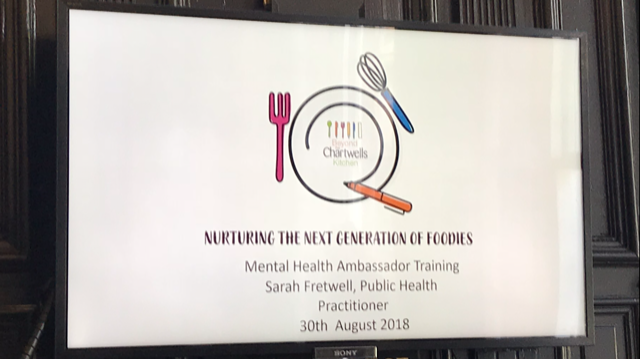 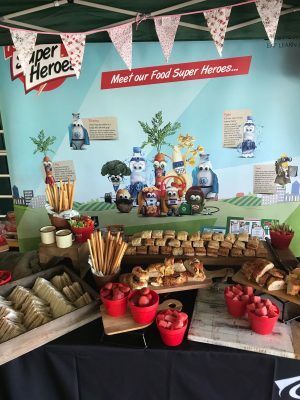 The team in Derby had a great time on the Food Ambassador training day and can’t wait to share everything they learnt with our pupils in Derby!! 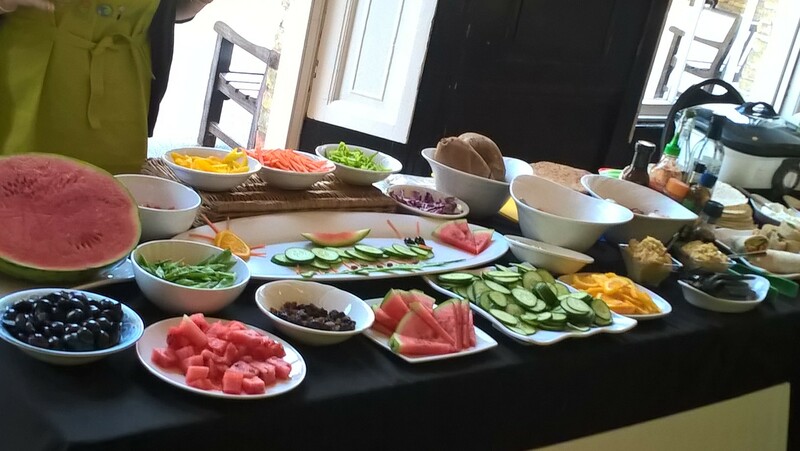 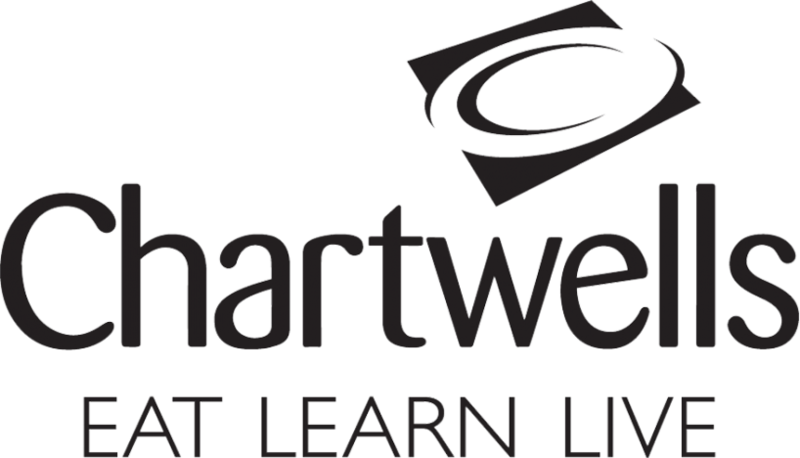 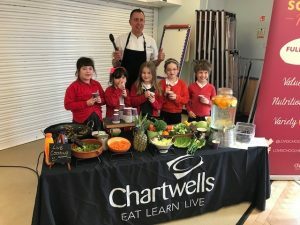 Chartwells Nutritionist spent the day with the students and staff at St Andrews School holding sessions designed around health, exercise and the eat well guide. 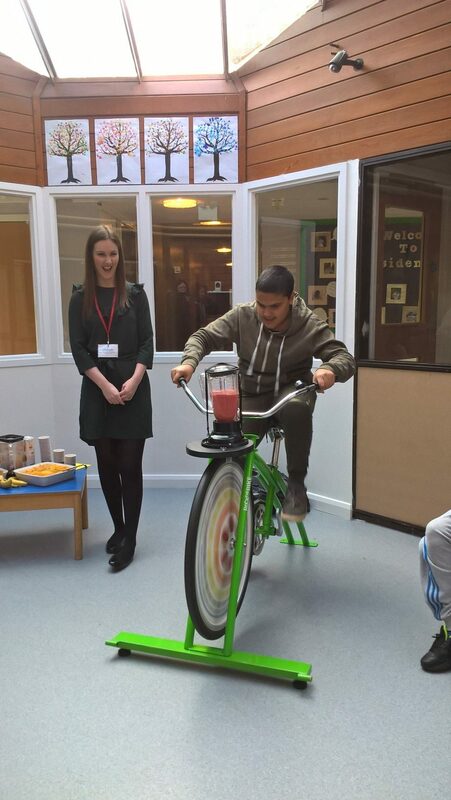 Once again pedal power was the order of the day with the students creating some amazing healthy smoothies. Well done to the students at Portway Junior School for their hard work and dedication in their Year 6 SATs tests. 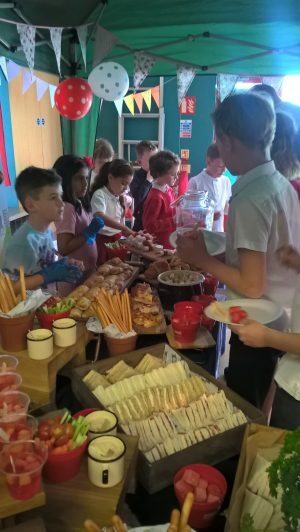 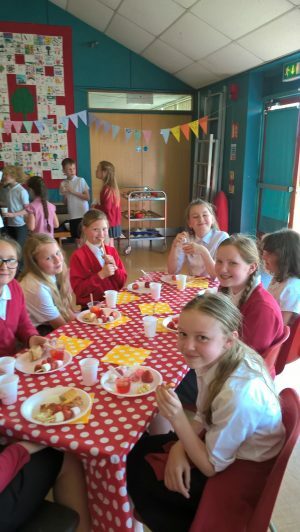 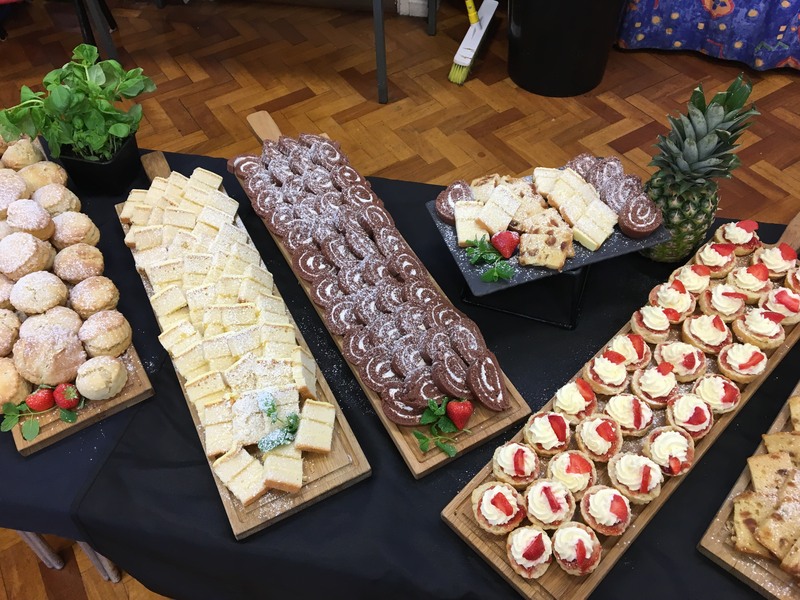 The pupils and staff celebrated the success with an afternoon tea provided by the Chartwells team and served by Year 4 pupils. Pupils at St Werburghs School enjoyed a day of exercise on the Chartwells Smoothie Bike. 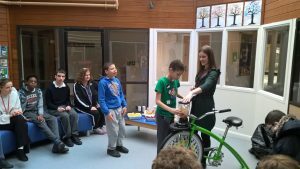 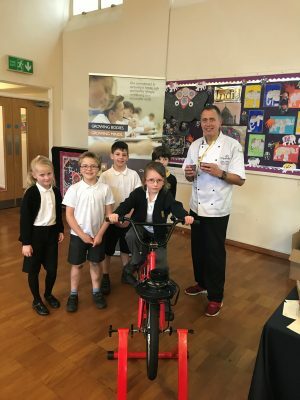 Pupils selected fruit and vegetables to create their own delicious bespoke smoothie, as long as they had enough pedal power to blend of course! 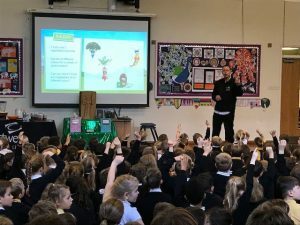 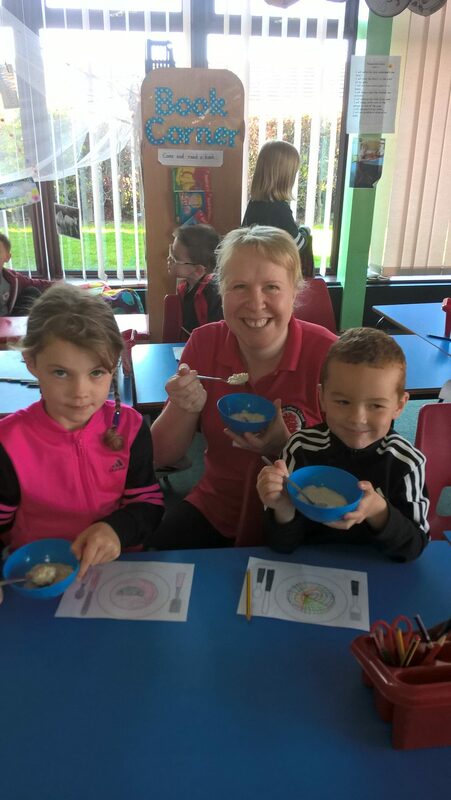 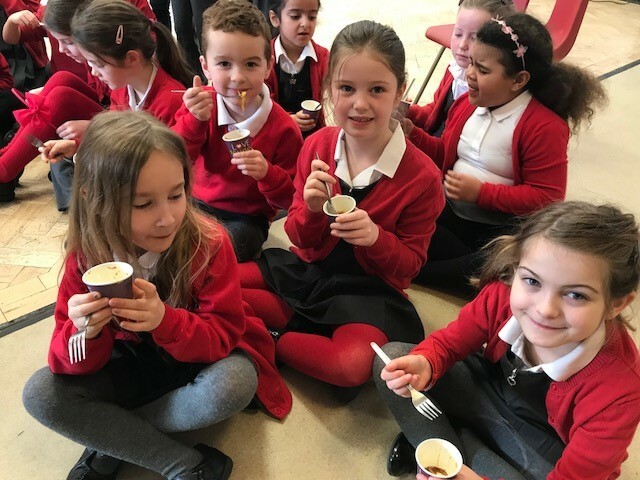 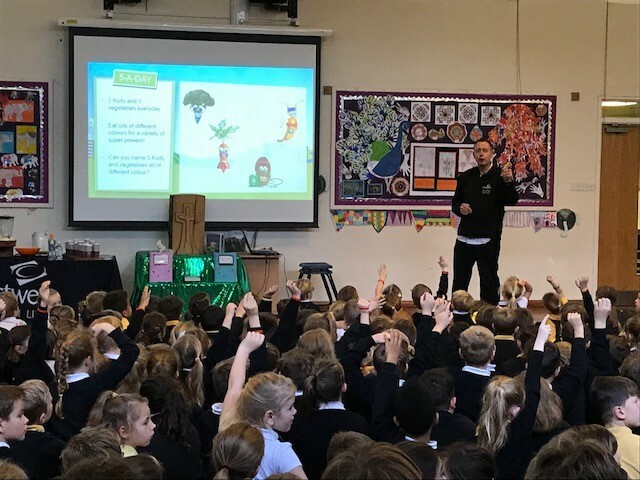 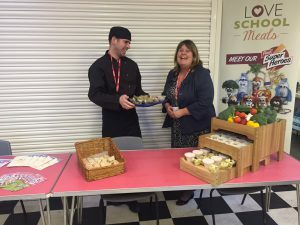 Chartwells Executive Chef spent a fun day with the staff and pupils for Healthy Heart Week, talking about the importance of a healthy diet and exercise. 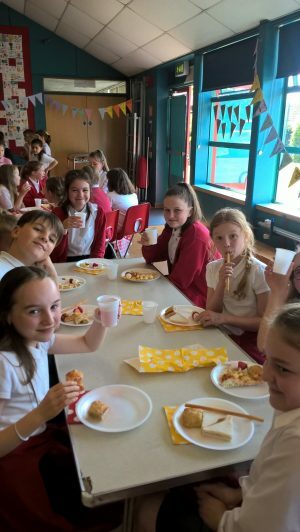 Pupils particularly enjoyed making and eating vegetable stir fry!